Did I find another tag that I really wanted to do? Of course I did. Have I read had as much as I wanted / intended to read during my week off? That would be a no. Visiting home and spending time with family that I hardly see is great. I get to see everyone and catch up which is amazing. However, my reading time just disappears. So instead of a review (which I do intended to write as soon as I finish a book) a tag will have to do. 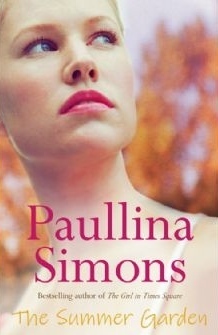 Maybe at some point over the next few days I will have finished The Summer Garden by Paullina Simons! This is doubtful and I’m only on the second chapter and I’m sure the book is over 700 pages long. While scanning through old blog posts regarding classics I stumbled across It’s a Books World‘s blog. Check out the original post. It’s a shame that she no longer run the blog! This is an easy one! Ulysses by James Joyce. This is one of the worst books I have ever read. Grated I was forced to read it for my Masters a few years back and I can confirm that the 12 weeks Ulysses course we had to complete was the worst semester at university ever. To be honest anything by James Joyce is not for me. I don’t think I have favourite time period. I love history too much to pick. It really does depend on my mood at the time. How can you pick just one? I am partial to a Beauty and the Beast re-telling though! 4. Which classic have you not read yet that you’re embarrassed to admit to? To Kill a Mockingbird by Harper Lee. I have just never got around to picking it up and I find this really embarrassing. I haven’t read many classic retellings unless we go down the fairytale route. I did enjoy Uprooted by Naomi Novik. Winters by Lisa Gabriele – This is a Rebecca retelling. 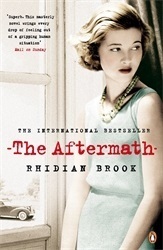 Rebecca was originally written by Daphne du Maurier. The Dark Descent of Elizabeth Frankenstein by Kiersten White. Most people will gather that this relates to Mart Shelley’s masterpiece Frankenstein. There are way too many for me to go through! Way too many. I FEEL LIKE I SHOULD JUST SAVE THIS FOR AN ENTIRELY DIFFERENT POST FOR ANOTHER DAY BECAUSE I COULD JUST GO ON FOREVER WITH THIS! The Alice in Wonderland adaptation that came out in 2010 with Johnny Depp. It is one of the worst films I have ever seen. The penguin clothbound classics. I have dreamt about owning all of them. I just don’t think it will happen. THE MOST BEAUTIFUL COVERS EVER! I really really enjoyed Northanger Abbey by Jane Austen and you cannot forget Anne Brontë’s The Tenant of Wildfell Hall. 11. What is your favorite classic of all time? Of course this could change at any point but from when I first read Tess of the D’Urbervilles by Thomas Hardy when I was 17 it has had a special place in my heart! Who doesn’t love a good classic? I am determined to make the most of my week off before I start my new job next week. So I am hoping to post at least one post a day. For today’s blog I have come across a tag that I fancied doing. I found this on Booklovingnut‘s page. Have a look at their blog!! I tend to pick up the book that I fancy at that particular time. If I am not in the mood for it I tend to struggle with it. Saying that I also I have book jar. I intend to read at least one book from the jar a month. However, it is important for me to state that this does depend on my monthly plans. The books included in my jar range from classics that I just haven’t gotten to, to new releases. I have a theory. Time is too precious to waste (Yes. I know it’s not specifically mine but it is a good one to live by). Why should I read a book that I am not enjoying? I believe that time should be spent reading the books you enjoy. You never know they might end up on your favourites list in the end and you won’t regret it at the end. It doesn’t phase me if I have not reached my target goal by the end of the year. Anything could have happened to take your reading time away from you. Take last year for example. I lost two members of my family in a short space of time. I didn’t have the time to read. With travelling between home 1 and home number 2 and work full time in between I had no time to myself. What little time I did have honestly, I didn’t want to read. How can you expect a person to complete something like this when there are genuinely more important things going on in their lives? This one is super easy to answer. I don’t! I recently persuaded my mum to read a series so that I could switch the books over before she started reading them just so my series matches. The perks of having family in a different city. I suppose. You can’t really lend and borrow books. I don’t tend to bond with people. Is this weird? I appreciate everyone has different options and I respect those that others may have even if I don’t agree. I love it when others think differently as it starts so many conversations and debates. I’ve been on the metro on my way to work when this has happened so many times. I tend to stop reading and call someone to distract me. I usually ring my sister. We can chat for a while once we get started so it is easy to avoid crying in public. It depends on how much time I have spare. Most of the time I don’t have a minute to myself so I’ll read reviews and synopsis’ online to recap. I live too far away for my family to borrow books and I live with my husband to be so I have nothing to worry about there as he doesn’t read (as irritating as this is). If friends ask to borrow my books I tend to refer them to the used section on Amazon as it’s cheap. I don’t lend my books out to many people. There has to be a strong trusting relationship before I would maybe consider it. This depends on how bad the slump is or what has caused it. Recently, I have started asking for recommendations from others. I will ask them to tell me their most recent 5 star read to see what all of the fuss is about. Moreover, romance or contemporary are great genres for me to go to when I’m in a slump as they can be quick and easy to read. It depends. On payday I tend to preorder / buy any books that I really really want. If I’m short of funds I will wait. This is not an issue for me. I suppose this one of the perks of buying a house and having a wedding to save up for. I can no longer be irresponsible with my pennies. 11. After you purchase all of the books that you’re dying to read how long do they sit on your shelves before you get to them? This also depends on what I am currently reading. I am not going to lie there are books from series’ that I have started and loved over the past few years and the new instalments are still on my TBR shelves untouched. I’m a proper mood reader. If I don’t fancy it, I won’t read it. This is why I introduced the book jar into my life so there is at least one book a month that I have to pick up to clear the shelf. Though I am beginning to think the shelves will never be clear. Please copy this tag and post it yourself. I’m really interested to see what fellow readers are like in these situations. Now I know that this one has already been released in the UK. (I’m not sure about internationally but it is definitely out in cinemas here right now). I can guarantee that if I asked my other half to go to the pictures with me to see this film it would be a straightforward no. Nothing would persuade him. Literally. Nothing. It’s one of those films that I’m probably going to have to wait to be released on DVD. I’m half way through the book so that will give me plenty of time to finish the book in time to watch the films. I still haven’t made my mind up about this series as I found so many issues with it. However, I am interested in how the adaptation has turned out. So I do intend to watch the film. I still refuse to acknowledge that this series was created as Harry Styles fan fiction. I’m way too old for that! Additionally, the film looks so cheesy in the trailer. And not in a good way. It’s like they have tried to copy the 50 Shades adaptations and that were bad enough. We shall just have to wait and see I suppose. Release date: April 2019 (US) (UK) I’m unsure. There was something about this book when I was reading it. I just found myself really struggling with it. I’m sorry to say I can’t tell you why either. I just haven’t really thought about it. However, I always intended it give it another go. Then I heard that there was a film adaptation coming out and I feel like this maybe something I may enjoy more as a film. There is nothing much to say about this adaptation other than it is probably going to be amazing. It has a great cast. It is a fantastic story! It has all the feels. I am really looking forward to it. It is the perfect time of year for the release date too. There is no trailer at present. The plot centres round Mary Lennox, a young English girl who returns to England from India, having suffered the immense trauma by losing both her parents in a cholera epidemic. However, her memories of her parents are not pleasant, as they were a selfish, neglectful and pleasure-seeking couple. 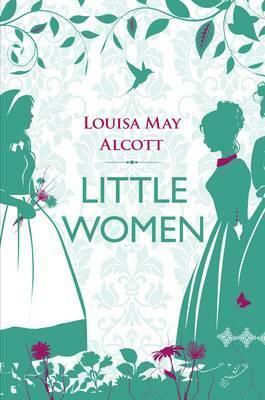 Mary is given to the care of her uncle Archibald Craven, whom she has never met. She travels to his home, Misselthwaite Manor located in the gloomy Yorkshire, a vast change from the sunny and warm climate she was used to. When she arrives, she is a rude, stubborn and given to stormy temper tantrums. However, her nature undergoes a gradual transformation when she learns of the tragedies that have befallen her strict and disciplinarian uncle whom she earlier feared and despised. 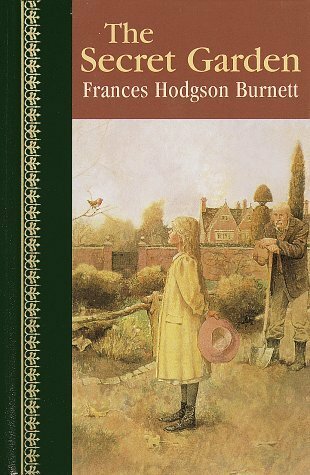 Once when he’s away from home, Mary discovers a charming walled garden which is always kept locked. The mystery deepens when she hears sounds of sobbing from somewhere within her uncle’s vast mansion. The kindly servants ignore her queries or pretend they haven’t heard, spiking Mary’s curiosity. I loved the 90s film adaptation growing up. It is something that I can sit and watch over and over when it is on. It reminds me of my childhood. I am quite looking forward to the new spin on it. There is no trailer at the moment. I love this story and I really did love the adaptation Netflix released last year 2018. I thought they did a pretty good job. 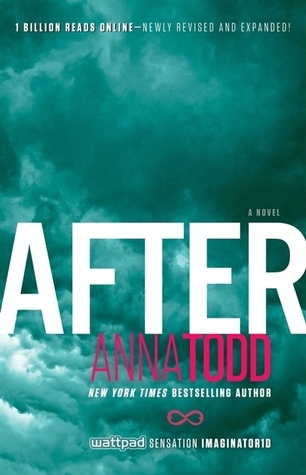 I am so looking forward for the second adaptation. There is also no trailer for this one at this time. Are there any adaptations that you are looking forward to seeing? After I finished reading the first book in this trilogy I don’t think I could have gone without reading the second instalment straight away. I mean with an ending like that how could anyone want to have a break between the two books? Now, don’t get me wrong I really enjoyed this book but I don’t think I enjoyed it as much as The Bronze Horseman. Something was lacking and I can’t quite put my finger on what it was exactly. I did feel like there was a little section at in the middle of the book that dragged out for a long while and I felt my mind drifting every so often. This was the same for the flashback elements from when Alexander was growing up. I just wanted to focus on the present. I feel like this book is a very slow burner and I mean VERY slow. Regardless of the parts that I didn’t quite like, there were still things I loved, especially the intense relationship and fierce love between Tatiana and Alexander. Moreover, I was so happy to see that there was a lot of character development in the book. In particular with Tatiana. I am so happy that Simons helped character mature. Tatiana and Alexander is just as emotional as The Bronze Horseman. There are times when you’re on such a high because things look like they are going to get better and then suddenly things start to go all wrong again and you’re at rock bottom. When you read Paullina Simons’ writing you cannot help but be invested in the characters and their journey. I can’t finish this review without mentioning the imagery throughout this book. 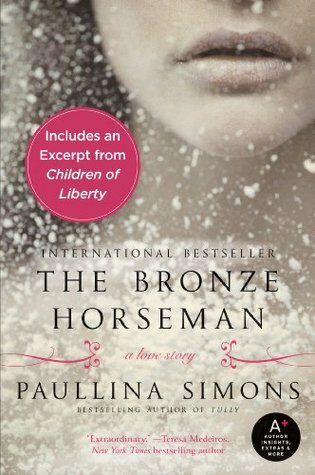 It is just as enticing as you’d expect after reading The Bronze Horseman. You feel like you are in the middle of their story right along with them. You get all the feels. When they hurt you hurt. When they are sad you are sad. 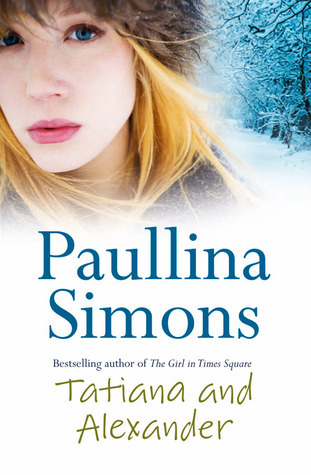 Paullina’s writing style is just extremely beautiful and not many authors can do what she does so successfully. 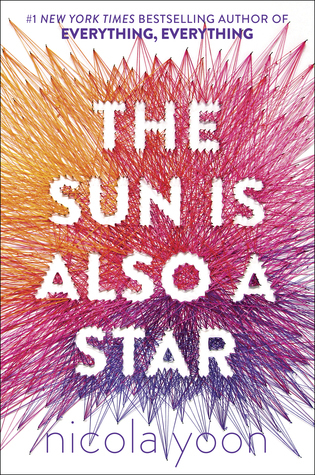 This book is a heartbreaking tale full of hope and love and it is worth every second of your time. I genuinely can’t see where Tatiana and Alexander’s story is going to go in the third instalment (The Summer Garden) but I am eager to give it a go and my fingers are crossed that it is just as addictive. Steph from A Little but a Lot hosts a weekly prompt called Six for Sunday and this week’s topic is ‘An Ode to my Favourite Genre’. I don’t have a distinguishable favourite genre. When I pick up a book it always depends of my mood at that particular time. Of course there are a few genres that I am not a fan of but I don’t tend to read them. However, there is always one genre that I can can go back to at any time. Especially when I’m stuck for something to read or I need something to help me out of a reading slump and that is contemporary literature. I have read so many contemporary books that have both helped me and taught me so much about the world and other societies around me. Contemporary books give you an insight of topical issues that you may not be aware of. Personally, they have given me tips on how to deal with certain things that have affected me over the past few years. For example grief and anxiety.This leads me onto reason number 2. Like I have already said, contemporary literature tend to focus on topical issues that people face within society and/or in their personal lives. Topical subjects can be a hard thing to write about and I think it is really inspiring when authors tackle these subjects. From mental health and disabilities to race and sexuality I love how there are authors out there focusing on these areas. They are ultimately teaching people things they did not necessarily know about the topic that is being covered.Several years ago I was really struggling with my anxiety. After trying to speak to people about it I was ignored and fobbed off. It made to feel stupid and an outcast. I was made to feel like it was wrong to feel the way I did. I got the stereotypical comments when I spoke to people too. For example, “Well, you seem fine to me.” or “There is nothing wrong with you stop thinking about it, it’ll go away.” I had no one to turn to and contemporary books helped me deal with my issues. They gave me the confidence to stand up for myself and my mental health. Every so often I just need to have a good cry and contemporary books are good at brining out my emotional side.Of course they make me laugh they make me angry but they also make me happy. I do love a good emotional rollercoaster. 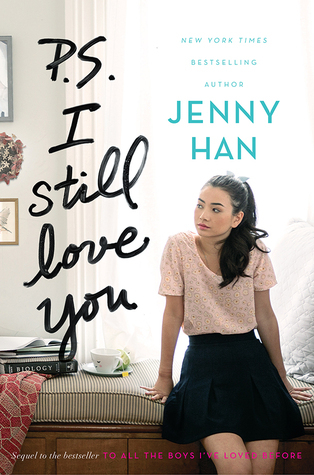 You just get all the feels through a contemporary book. I know this is a popular happening in most genres and I think it is a super important thing in all books but there is something about it happening in contemporary. Especially when you watch them battle their demons, no matter what they are. Everyone knows I love a bit of romance and contemporary literature brings all the love dovey romance. I love seeing relationships grow throughout books and contemporary is a great genre to watch relationships develop. Contemporary books tend to be easy reads…well at least some of the time. They are easy to fit into a busy working week which is great. I have read so many books that take up a lot of time and when you’re an adult a lot of the time you don’t have much free time to yourself. I need to allocate a lot of my time for work, chores and family/friends time. This genre is easy to fit into my busy schedule and it doesn’t feel like an effort when I’m reading. This meme was previously hosted by MizB at A Daily Rhythm. It has now been taken over by Taking on a World of Words Have a go..I dare you. You just have to answer the three questions and leave a link to your post in the comments for others to look at here. The love is to be shared so once you have completed your post visit the other blogs to see what is going on in there world. Without further ado here is my WWW for Wednesday 20th March 2019. Three years ago my father walked away. Away from our MC, all his responsibilities, and me. We haven’t spoken since the day he handed me the keys to the kingdom. I’ve been having a really tough time this week and I’ve been thinking that maybe little writing will be a good distraction as my head is all over the place. Steph from A Little but a Lot hosts a weekly prompt called Six for Sunday and this week’s topic looked fun. So I’ve decided to jump on the bandwagon. This week’s prompt is Bookish Couples so here is a list of my favourite couples from books that I have read. They are in no particular order. I genuinely don’t think I would be able to list them from least favourite to my most favourite. Do you have any favourite bookish couples? What’s your #sixforsunday?